Lee and I met this afternoon with Pastor David Rogers of CrossPointe Church in Valdosta. CrossPointe has been our church home these last several months as we’ve been residing in Hahira, GA, while we waited for our house to sell. The house sale is the last, big obstacle in our preparation to move to the Dominican Republic, and we were explaining this to Pastor David in our meeting. I told David I trust God, but I’ve been reluctant to assume everything will be fine with our June 5 closing date because anything can happen. At the conclusion of our meeting, Pastor David prayed over us, and he specifically asked God to bless our calling and ensure a successful closing on our house. Lee and I left the meeting and headed to our next appointment. It was during that drive that we received an email from our title company stating the buyers had requested we move the closing date to June 1 (this Friday!!!). After scrambling to make arrangements, we agreed to the new date. However, I honestly feel it was God immediately answering Pastor David’s prayer for us. God is amazing and faithful and awesome! I believe firmly in the power of prayer. I’ve seen miracles happen and have personally been impacted by prayer. But one thing I’ve never done as part of my prayer life is fast. In preparation for Easter, CrossPointe Church invited its congregation to take part in a fast from 6:00 PM Thursday to 6:00 PM Friday. Having been in the service last Sunday when this was announced, Lee and I decided to join the members of CrossPointe and fast. We have much about which to pray, specifically our house for sale in Tampa, and we know this period of sacrifice will allow us to focus on our conversations with God. I am sure many people are like me, not too familiar with fasting or the how’s and why’s of fasting with regards to our prayer life. What I do know is that it’s a conscious effort on my part to be intentional with prayer. When I would normally stop to eat, I will fill that time with prayer. When I am feeling hungry, I will ignore what my stomach is telling me and spend time with God. Jesus sacrificed Himself for me. Surely I can sacrifice food for 24 hours. Still, if you’re wanting to more information about how fasting improves your prayer life, visit the post below from Crosswalk.com. Today is an extra special day here in Hahira, Georgia, as we celebrate the birthday of our friend (and current house-host) Lindsey Smith. I’ve known Lindsey for over a decade, and to say we’ve done life together is an incredible understatement. When I think about some of the best, most fun, and amazing moments in my life, Lindsey is a part of them. In most recent years, the friendship and fellowship Lee and I have shared with her and her husband Jeff have been life-changing. I could go on for pages and pages about how wonderful and special Lindsey is, but instead, I want to focus on a specific attribute of Lindsey’s: her faith. Lindsey is a spiritual leader who is moved and driven by the Holy Spirit. I greatly admire the relationship she shares with Christ, and not only has Lindsey made me a better person throughout the years, she’s also helped make me a better Christian. So I think it fitting to share this picture of us from 2007 when we both jumped out of a plane for a good cause. There was a lot of excitement and frivolity leading up to the jump, but when it came time to suit up and get on the plane, Lindsey huddled us together and lead us in prayer. At that time in my life, I was still far away from God, and having her boldly pray out loud for us without hesitation or reservation really left an imprint in my heart. I know her friendship will continue to leave an imprint on my heart for decades to come. Have you ever met someone who is almost identical to you in personality, hobbies, and other characteristics? That’s how it is with me and my friend Kevin Von Maxey. We’re both diehard University of Miami fans. 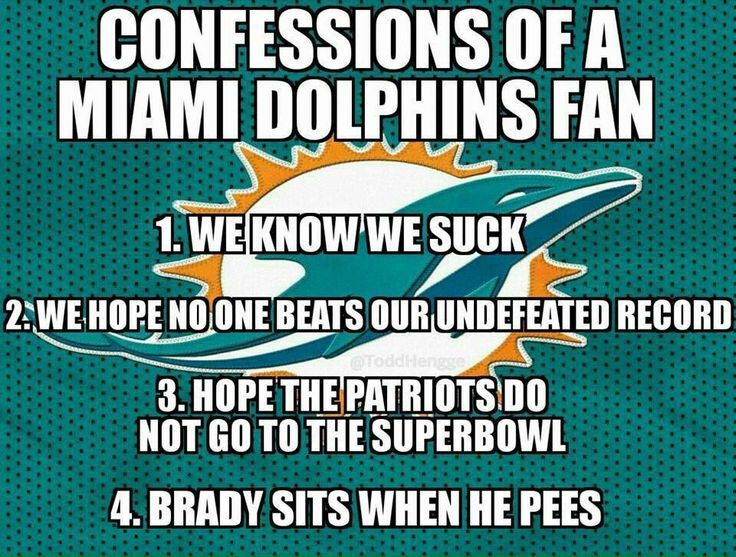 We’re also both longtime suffering Dolfans as well. We both share the same Mount Rushmore-esque affinity for Dan Marino, and we’re both sports geeks in general. Add to that our quirky sense of humor, love of movies, and overall desire to be witty and smart in just about every situation, and you’ve got yourself personality twins separated at birth. I met up with Kevin and his family this evening. As part of our downsizing experience, it was obvious to me Kevin needed to be the recipient of all my Dolphins and Hurricanes memorabilia and collectibles. With all apologies to his wife April (part of me felt I was just dumping my junk into their lap), I handed over to Kevin items that helped shape and define my childhood growing up. To say Kevin was appreciative is an understatement, and I know he’ll be like a kid on Christmas morning once he starts going through all the items in the bags and boxes (yes, plural) that I gave him. I also know Kevin will be geeking out with his sons Taylor and Alex as he explains the details of every item in that collection. I’ve known Kevin and April for over a decade, great friends that, like so many others, I met through the music of Sister Hazel. Although our interactions have been limited given the geographic distance between our families, Lee and I share many great memories with K&A, mostly post-concert shenanigans involving diner food and storytelling. And with Kevin, I could always pivot to anything Dolphins or Canes related and he wouldn’t miss a beat. But I want to pivot this blog post to something not involving football or music. I want to write about the power of prayer and how, I believe, an army of prayer warriors helped save April’s life last year. I will let the video below tell the details of the story, but I will add my recollection to April’s life-threatening experience. So many people from so many walks of life, many of whom would not call themselves spiritual, came together to rally for April. I remember praying diligently and intentionally for her recovery, and the fact I was able to give her a big hug this evening is a reminder that God honors our big prayers. I believe He specifically honors the prayers of a collection of people coming together with laser focus to plead for His healing abilities. At the end of the day, that is the church. And no one will ever convince me otherwise the reason April is alive today is that so many people came together to pray for her. It was those prayers that gave her body strength. It was those prayers that guided the medical team treating April’s illness. It was those prayers that allowed Kevin to navigate the terrorizing uncertainty of that experience. Social media is a great platform through which people can request spiritual support. Whatever the reason, whatever the season, someone always needs our prayerful help. April’s story is a testament to the power of prayer. When you’re having a bad day with your mental health, what do you do to help yourself? I guess, since this is November, I have to start with Thanksgiving. Not the holiday, but rather the ever-present need to be thankful for all God has given me. I am thankful for not being afflicted with a clinically diagnosed mental health issue (although I have members in my family who have). I am thankful for not be saddled with a medical condition that requires a daily regiment of medications (although I have members in my family who have). I am eternally grateful for the health and well being of my two teenage children (although I have members in my family who can’t say the same). There is no one right answer for handling adversity or managing those ‘mental health’ days. The prescription for getting through the storm is as unique as our fingerprints. Still, as a person of faith, I believe there is one common denominator. I used to surrender my crap to really, really loud music. Pop in the Van Halen, turn the volume up to eleven, and just let Eddie’s shredding on his guitar take me far away from where it is I was. When that didn’t work, I’d hand my problems over to alcohol. My happy place was inevitably found at the bottom of a bottle of booze. But ear drum and liver damage aside, what I was truly wrecking was my soul. Over the last decade, I’ve learned that everything in my life begins and ends with God. To put it in a mathematical analogy, He provides the parenthesis of my minutes, hours, days, years, and life. Not only is this perspective highly effective when it comes to pressing through the tough times, it is absolutely liberating as well. Being able to surrender my problems to the Lord has helped me elevate above the worldly problems that arise and overcome them while minimizing the mental and emotional impact on my life. Please don’t get me wrong, just because I believe in God and have a relationship with Christ does not mean my life is easy and nothing bad ever happens. That’s not what I am saying. Rather, when the *bleep* hits the fan, dealing with it all becomes a less stressful situation because of my faith in Him. For me, it all begins and ends with prayer. Effective, focused, and intentional prayer is how I get through the ‘mental health’ days. Sometimes God is immediate with His blessings and opens my eyes to the solution I am seeking. Sometimes He’s not, and the blessing is in the growth that results from the pressing through the tough time. Either way, I’ve found that when I make my time with God a PTA meeting (Praise, Thank, then Ask), there is no problem too great for Him to resolve. When tough times arise, I now turn down the volume of the world and inebriate myself with the Holy Spirit. It’s not always easy, but that’s the thing with faith; it’s not supposed to be. Writing has always been therapeutic for me. Although my blog has evolved over the past decade when I started writing, it still remains where I go to deal with the lemons life throws my way. There is an irony in writing, one that parallels the experiences of my faith journey. I have found that God is always able and willing to turn our broken into something beautiful. Similarly, the most productive muse I’ve ever encountered is one called pain. Pain has fueled some of my favorite posts, and she continues to move me to write. Thankfully, however, she’s stayed away from me for some time. But she did pop her head into my life this week, and this is what that visit produced.